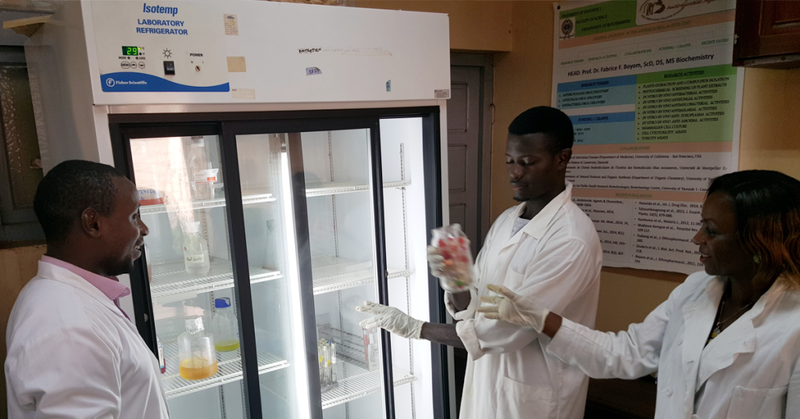 Students in the Antimicrobial Agents Research Unit at the Université de Yaoundé I retrieve petri dishes from a refrigerator that was provided by Seeding Labs. Dr. Boyom’s students analyze samples with a fluorometer from their Instrumental Access shipment. Fluorometers can be used to analyze the content and activity of molecules in cells, viruses, and parasites. Seventy percent of Cameroonian women of childbearing age carry one of the world’s most common parasites: Toxoplasma gondii. The resulting infection, toxoplasmosis, can have devastating effects on pregnant women and their babies and cause serious health complications in people with weakened immune systems. 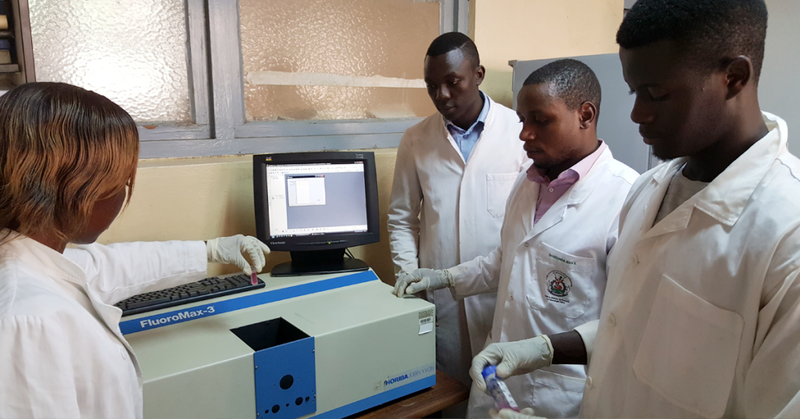 There is no safe and effective treatment for toxoplasmosis, but Dr. Fabrice Fekam Boyom (pictured at top, far left), a professor of biochemistry at the Université de Yaoundé I in Cameroon, hopes to change that. Dr. Boyom has been utilizing equipment from Seeding Labs to seek drugs effective against toxoplasmosis, as well as malaria and the neglected tropical diseases Buruli ulcer and leishmaniasis—some of his country’s most pressing public health threats. The equipment gave Dr. Boyom’s lab the foundation needed to win a $100,000 grant from Medicines for Malaria Venture, fueling research that successfully yielded several promising leads for possible drug development, as well as recent publications in peer-reviewed journals. Instrumental Access equipment is also catalyzing a new generation of scientists. Six of Dr. Boyom’s students have relied on it to complete research for their MSc and PhD degrees on antioxidants, antifungals, antibacterials, inflammation, and malaria. Dr. Boyom, a beloved teacher and mentor, hopes to retain these students and use their expertise to bring treatments for toxoplasmosis and other pathogens closer to reality. 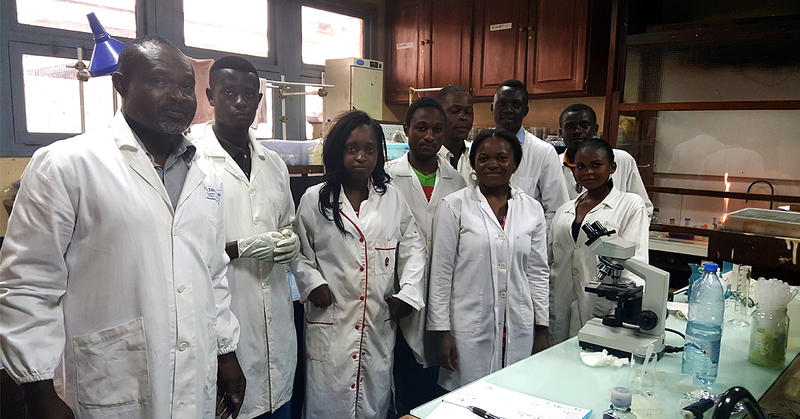 Seeding Labs selected the Université de Yaoundé I for our Instrumental Access program to enhance teaching and accelerate research.